Lake Tahoe is the perfect place to elevate your education. Here students can enjoy an unparalleled academic experience while living in a pristine alpine setting, one of the most beautiful places in the world. Location: Lake Tahoe is not only an attractive vacation destination but also a very safe location with a low crime rate. We are located in California, or the Golden State, and only two hours away from the state capital, Sacramento and four hours away from San Francisco. Community: We are a small community with a comfortable and welcoming environment that offers an international flare. Many locals originally came to the area as travelers seeking an endless winter, but once they tasted summer in the Sierra Nevada, found it hard to leave. They enrich our community of 25,000 with their culture. Activities: No other place in California will let you take your outdoor adventure to a completely new level. Hiking, rock climbing and mountain biking in the most amazing sceneray on earth is unbeatable. Paddleboard, sail, kayak, take a cruise on the lake- whatever floats your boat. Only in Lake Tahoe you can enjoy the most epic over-the-top ski runs. 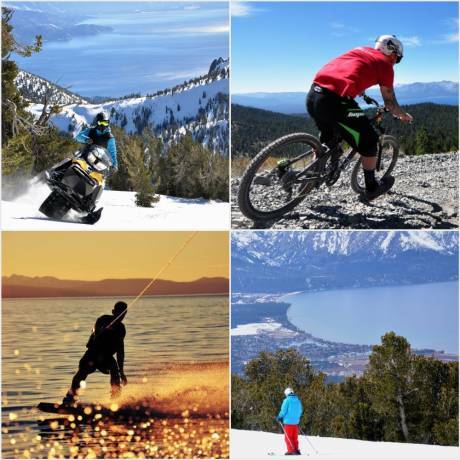 Skiing, snowboarding, snowmobiling- we have all of that and more. 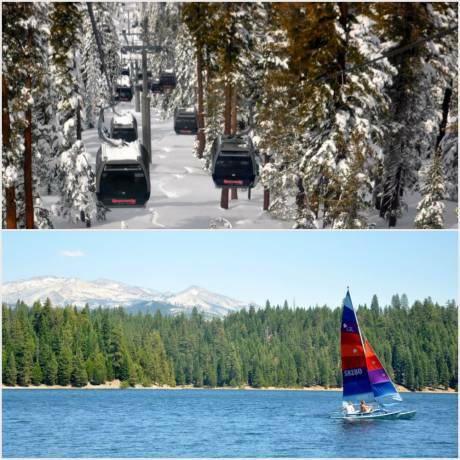 Why study at Lake Tahoe Community College? Diversity: Cultivating student culture and international students is at the forefront of LTCC. A diverse group of 3,000 students are served each quarter, and since 2013, LTCC has hosted over 250 international students from 25 countries. Accreditation: LTCC is a comprehensive college accredited by the ACCJC of the Western Association of Schools and Colleges, a regional accrediting body recognized by the Council for Higher Education and the U.S. Department of Education. Transfer to a 4-year universities: LTCC is a gateway to the U.S. higher education system for international students. We transfer students to prestigious California UC and CSU schools as well as out of state institutions. International students will save thousands of dollars on their tuition by taking their first two years at LTCC before transferring. We have exceptional record of successfully transferring our graduates. Affordability: We offer one of the most affordable tuitions for international students among all California colleges. During the 2018/2019 academic year, the cost per unit is $203, making the quarterly tuition from $2436 to $3045. Low English proficiency requirement: LTCC has one of the lowest English proficiency requirements in the state of California. International applicants only need to pass the TOEFL exam with 55 points, or the IELTS exam with a score of 5.5. Student Clubs: LTCC offers a wide range of clubs catering to many different interests. From the dedicated Honor Society, to the fun and energetic Badminton club, and the International club promoting diversity, there's something for everyone to experience and enjoy. Scholarship opportunities: Every year LTCC offers scholarship opportunities to all LTCC students. For years, current international students have been taking advantage of this wonderful prospect and have saved thousands of dollars in educational costs. Internship opportunities: International students are eligible for work-experience and internship positions through CPT and post-OPT employment. LTCC has an on-campus office designated to assist international students in this process. Academic opportunities: Our college offers an array of academic programs to choose from. There are 31 Associate Degrees available to international students, from which 14 are guaranteed for transfer. Faculty are among LTCC student's most highly rated attributes, along with small class sizes and personal attention. Rest assured, students never get lost in the crowd on this campus. 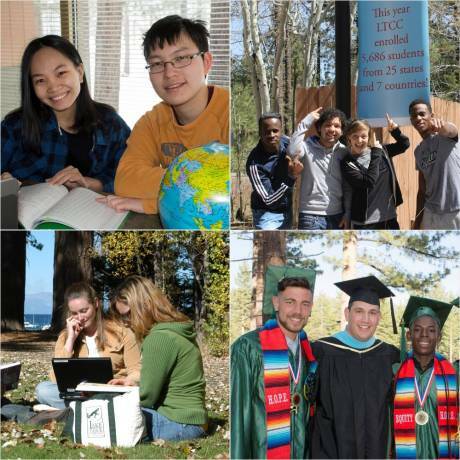 Every academic year Lake Tahoe Community College's Scholarship Foundation awards over $100,000 in scholarships to LTCC's academically high achieving, continuing and transferring students. For years, current international students have been taking advantage of this wonderful prospect and saving thousands of dollars towards their education. 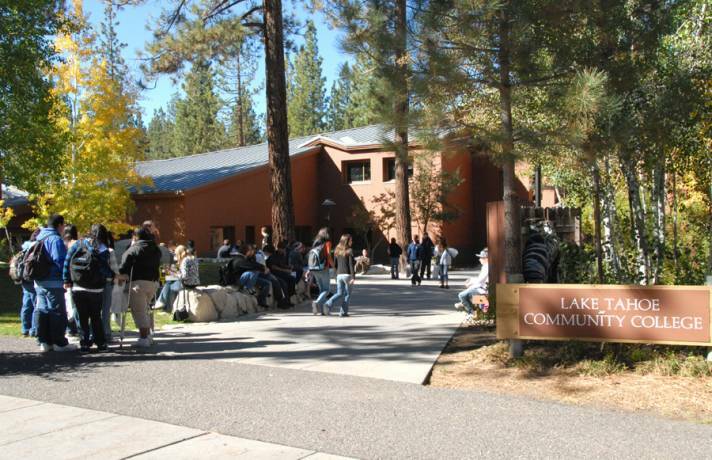 The Lake Tahoe Community College Foundation supports educational excellence by assisting and encouraging investment in the development and growth of educational opportunities at LTCC. Fill in this form to get more information about the courses and application to Lake Tahoe Community College. You can also ask questions to the school here.